Ellery and Trace: Guadalupe and her team are an absolute dream! Guadalupe and her team are an absolute dream! 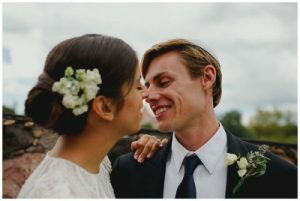 They helped us navigate the entire wedding planning process with grace and ease, and provided so many wonderful recommendations and ideas to bring our wedding to life. They listened to our feedback, and were always so responsive and helpful – even in spite of the distance as we were planning from another country. Our entire wedding weekend was truly the most magical experience, and we would not have changed a thing. Words cannot begin to express the gratitude my husband and I have for the entire Penzi team. 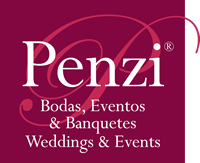 The team at Penzi Weddings did an incredible job showing us Americans how a fiesta is supposed to be done! They took us to all of the great local spots in a Mexican town that is voted the best city in the world by multiple publishing companies. I’d highly recommend using them. It is worth the travel to have your wedding at San Miguel de Allende, the best location in the world. Jenn and Jack: You guys are now part of the family. We love you! Wow, what a weekend!!! What a magical weekend! I worried all week (let’s be real, all year) about rain, about the location, about people having fun. You were prepared for all. Rain or shine, sober or drunk, hot or cold, meat or vegan, mom or bride. You had my back. I remember when the rain started spitting and i saw Guadalupe in the corner telling me “it will be ok.” That was a peaceful moment. That’s when I realized it is what it is. We are in San Miguel and we made the best of this situation. The rain didn’t last long and we got sun and beautiful weather for the whole week. From saturday’s Callejoneada to the Monday brunch, everything from start to finish was at the utmost perfection. Every detail played a part, every moment was made special, everything was just incredible. We are a month out and people are STILL talking about it. People want to do monthly reunions!!! 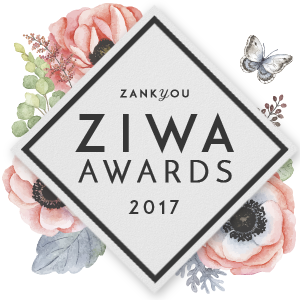 We have people telling us it was the most spectacular wedding they have ever been to and we could not have done it without you guys. Your staff was so friendly, they filled up every empty glass with tequila instantly, they took care of our guests as if they were their own family. You guys have an eye for detail, for fun, and for sophistication. What a magical weekend and it was all thanks to you. You will get ALL my recommendations and we will find excuses to make it out and see you and dance with you again! thank you for the most amazing time and unforgettable memories.